Eric, Preston, Taten, & Russ going shooting in the Spring of 2007! The December Countdown was fun and all, but I'm just not that exciting of a writer to post every day! Anyway, enjoy my memories! Here are some great shots from January of 2005. Grandma Saul was visiting and braved the snow with the kids! Building a totally cool snowman! Building a snowfort and having a snowball fight!!! And last but not least, making snow angels!!! Thanks for the good times grandma! We love you! 2 Down 3 to Go! 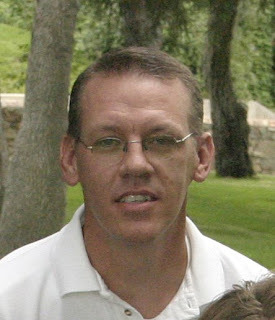 On the 13th of January, Eric just hit his 20 year mark with the Air Force. Because of student loan repayment issues, and needing more "points", he has enlisted until August 2012. Above is his goal at the moment. After 20 years, he is currently a Master Sergeant. In order to achieve the rank above, he needs to pass 5 tests. Today he passed the hardest one of the 5, test #2. He is so relieved!!!! So, in a couple more months, and three more tests (which next to this one he just took are fairly easy), he will have met his goal. 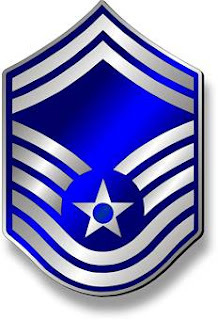 Then, this summer when his senior retires, he will be the new Senior Master Sergeant!!! Today is Eric's 39th birthday! 1. He is my best friend! 2. We can talk about anything! 3. We are both simple people, and love simple things! 4. He is a great dad! 5. It's not hard for him to say he's sorry! 6. We can relate on every level! 7. He has a sincere love for others, and can sense when they need help! 8. He has a strong testimony! 9. He has a strong love for the Savior. 10. He is very forgiving! 11. He loves to give service, and help others! 12. He is very loyal! 13. He would never hurt me! 16. He is honest & trustworthy! 17. He loves to learn new things! 18. He is very smart! 20. He is a great cook! 21. He is very loving and supportive of everything I do! 22. He usually drops everything to help me when I need him! 23. While in so many ways he can be a pessimist, he really never complains! 24. He knows when to "take over" if I need a break! 25. He calls me almost everyday! 26. I get a kiss goodbye everyday before he leaves for work! 27. He shows and tells me he loves me often! 28. He loves to do things together! 29. He can fix almost anything! 30. We compliment each other perfectly! 32. He's not afraid to cry! 33. He loves his family! 34. He makes me laugh! 35. He is a great teacher! 36. He is very helpful! 37. He is easy to love! 38. He doesn't give up! 39. He is patient with me! Oh I could go on and on, but I will stop at 39 on his 39th! Happy Birthday Sweetie! I love you!! Sometimes our little ones do the craziest things, and we just can't help but smile! The other day the kids & Eric informed me that this was Cade's new trick. I had never seen him attempt this, or even seen the other kids showing him. He is just a silly, goofy kid. He comes up with some crazies that's for sure! But we sure all love him! 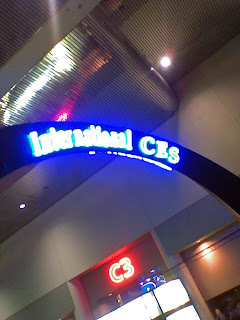 Last week for work Eric got to go to the CES Convention in Las Vegas!!! 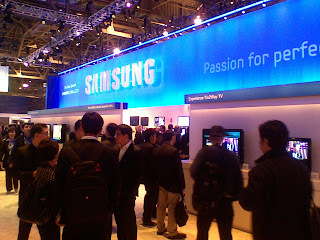 For those of you who may be confused this CES stands for the Consumer Electronics Show. Not CES (Church Education System) where he used to work. 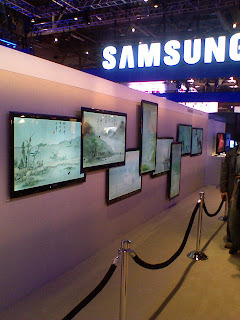 The International CES is the world's larget consumer technology tradeshow. 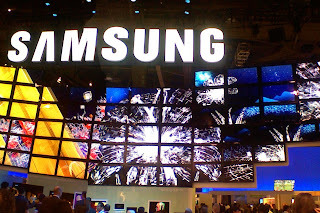 He got to see all sorts of fun (and expensive) new technology and gadgets from all over the world. 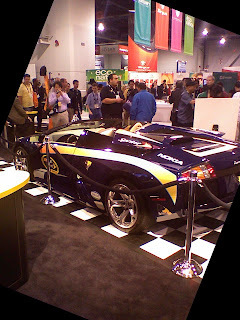 They had everything from bite sized laptops to cars!!! While he wishes we could have gone together (me too), he did enjoy a couple nights on the town, and a few days off work. I removed my old post of the slideshow because it was taking too much memory to run. Eric has been gone for several days and I am to stupid to figure out how to change it. So it has been deleted and here is a few of the stills!